Reef Relief began as a local effort to educate divers and boaters about the need to safeguard the Florida Keys coral reef. Now Reef Relief works with scientists and top government officials on international coral preservation and in battling a myriad of threats to one of nature's most magnificent ecosystems. Nearly a quarter century after founding Reef Relief, Craig and DeeVon Quirolo turned the reins of the nonprofit organization over to the next generation. "It's been a pleasure and an absolutely incredible experience but Craig and I are moving on," said DeeVon Quirolo. "It's the right time." "We started out talking about anchor damage and not touching the coral, and would up testifying to Congress about water-quality issues," DeeVon said. "What a long, strange trip it's been." The Grateful Dead reference is not random. Reef Relief is the authorized purveyor of the Grateful Diver line of accessories, courtesy of Grateful Dead band member Bob Weir, a longtime honorary board member of Reef Relief. "It was pretty simple when we started," DeeVon Quirolo said. "Everything else has been a progression of steps as we learned more about what going on at the reef." DeeVon has served as executive director since the beginning. Craig, one of the first Reef Relief presidents, has in recent years focused on chronicling the decline of the reef ecosystem through photographs and video. "We were unique in that we were one of the first environmental groups to focus solely on the coral reef," DeeVon said. "For a small group, we are very proud at the level of our accomplishments." 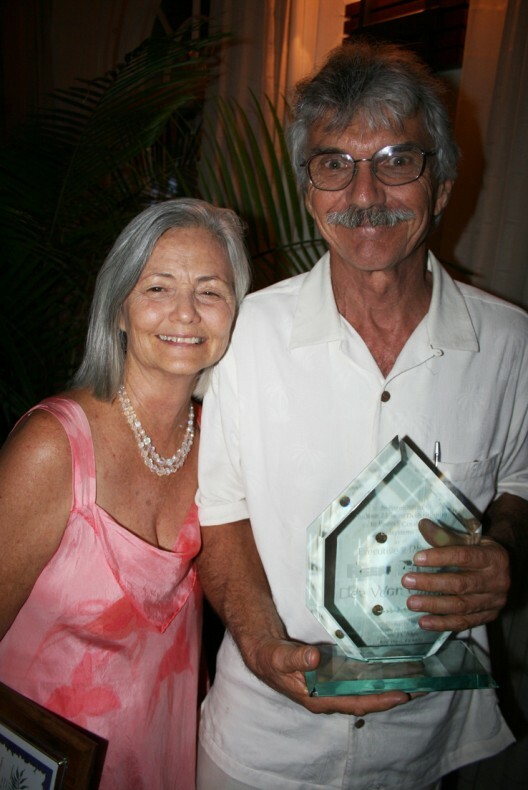 The Quirolos, Lower Keys residents since the 1970s, became activists after Craig saw the reef damage that some boats caused with careless anchoring. They campaigned for increased education of reef visitors to prevent inexperienced snorkelers from standing on coral or handling it. Reef Relief's first tangible projects included installation of mooring buoys later turned over to the Florida Keys National Marine Sanctuary system, creation of a nearshore marine park accessible to snorkelers, and a Key West education center. Photographs and video of underwater transects helped scientists report on changes at the reef, and discover new coral diseases. The online archive now offers more than 10,000 images. Reef Relief also was active in creating some of the first coral nurseries to help stabilize the living organisms after being damaged in storms or hurricanes. The Quirolos were invited to assist in the creation of local coral reef programs in areas including the Bahamas, Mexico, Honduras and Jamaica. As years passed, the group became more active in serving as a watchdog over pollution, possible oil drilling, ship discharges and other threats to the regional water quality.
" 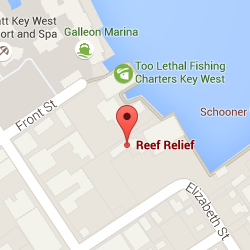 Reef Relief's work is not done. There's still a lot to do, but it's more than one lifetime of work"